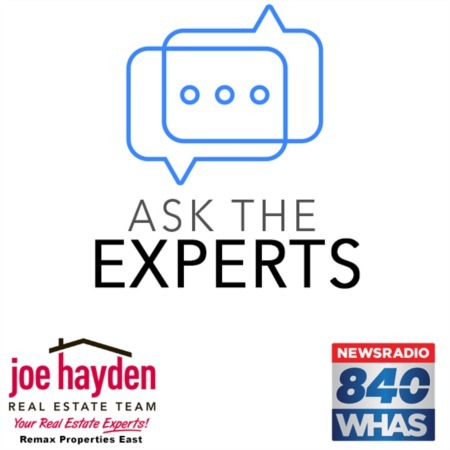 1128 E Breckinridge Street Louisville, KY 40204 | Home for Sale | MLS #1399326 | Joe Hayden Real Estate Team - Your Real Estate Experts! Welcome to 1128 East Breckinridge Street! 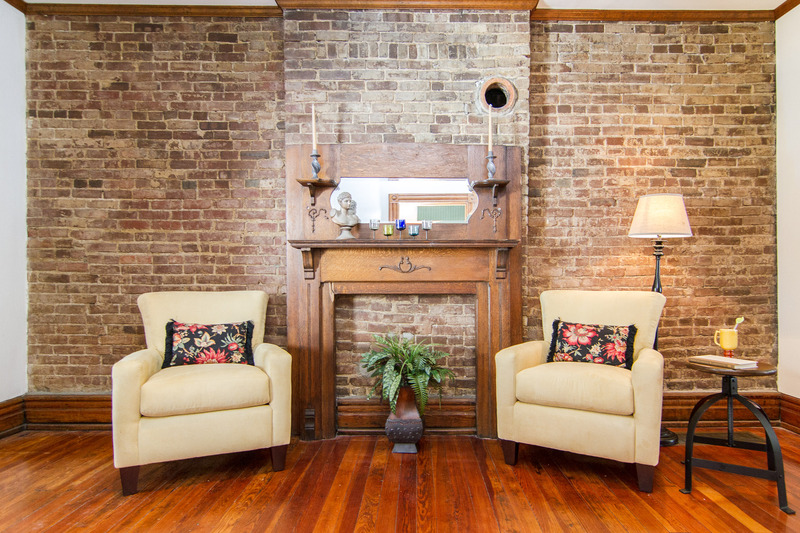 This gorgeous Germantown Victorian Masonry Brick home features an abundance of wonderful updates throughout that are sure to impress! A remarkable stone wall and charming gate are just part of the beautiful curb appeal. Beyond the gate you’ll find welcoming flowers and landscaping that complement the home's impressive 2 story facade. 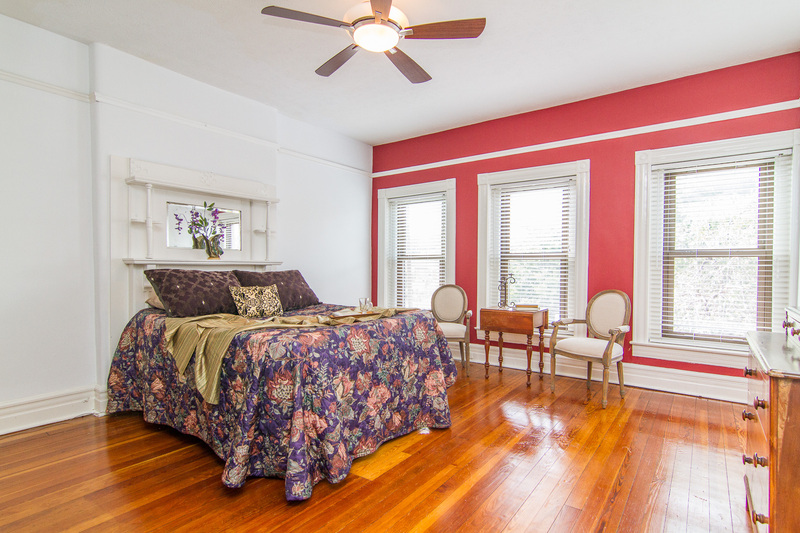 Gleaming refinished hardwood floors greet you ask you enter and are found throughout most of the home. 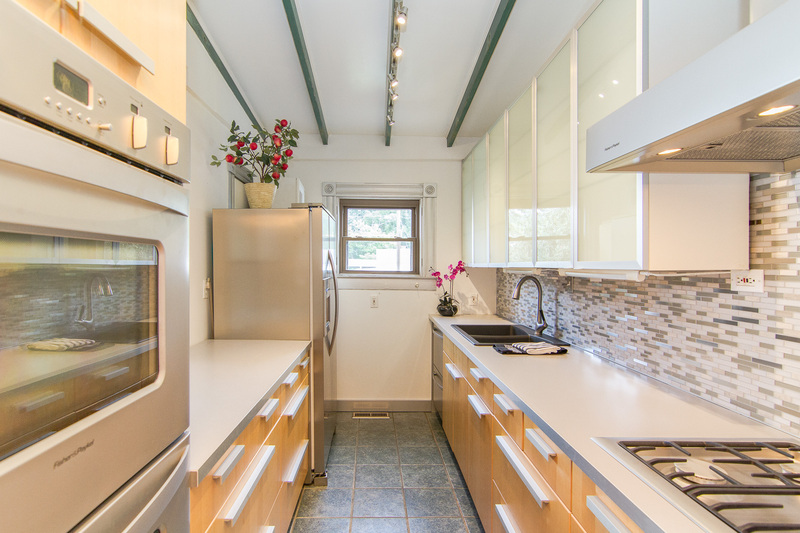 The floor plan is open and is complimented by original turn of the century craftsman mill-work and tall ceilings. Step into the warm dining room which features a beautifully carved Victorian mantel. The recently renovated kitchen is a chef's dream and features Ikea beech front cabinetry, Blum German hardware and door slides. A full Fisher Paykel appliance package with double convection ovens, a 5 burner gas 18,000 btu cook top, stainless steel hood, gorgeous tile work and glass, stone and stainless steel mosaic back splash are other amazing features of the kitchen. Upstairs you'll find 2 large bedroom and an elegant newly renovated (2014) bath with a Ferroca Alumina (Porcelanosa, a Spanish manufacture) large shower stall with floor to ceiling large format tile and modern Kohler sink and toilet. Each bedroom offers floor to ceiling built-in Euro style modern closets and there is abundant natural light throughout. Mechanical updates include...a new (2009) Steel Roof that is warranted for 40 years (an approximate 23,500 value), 200 amp updated electrical panel, new (2012) Split System 95% efficiency furnace, and double and triple pane windows. The opportunities are endless in the large unfinished walk-out basement. 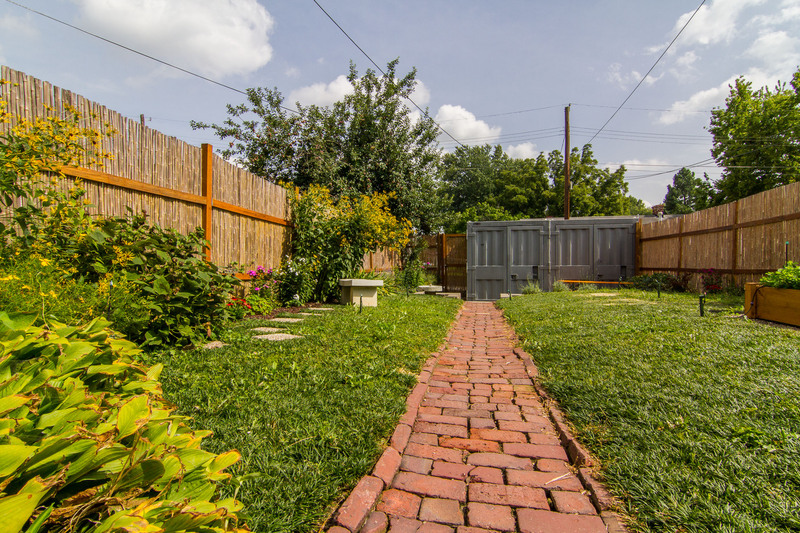 Enjoy the lovely and tranquil backyard with many wonderful plantings and a bamboo privacy fence. The lawn features dwarf Japanese Mondo grass and a sprinkler system. A delightful brick pathway leads to a picnic area and 1.5 car modern steel garage that is equipped with a 30 amp breaker panel which is perfect for a hobbyist, mechanic and/or tool shop. Located close to great shops and restaurants of the Highlands and Nulu, excellent schools, universities, beautiful parks and downtown Louisville this home is a must see. 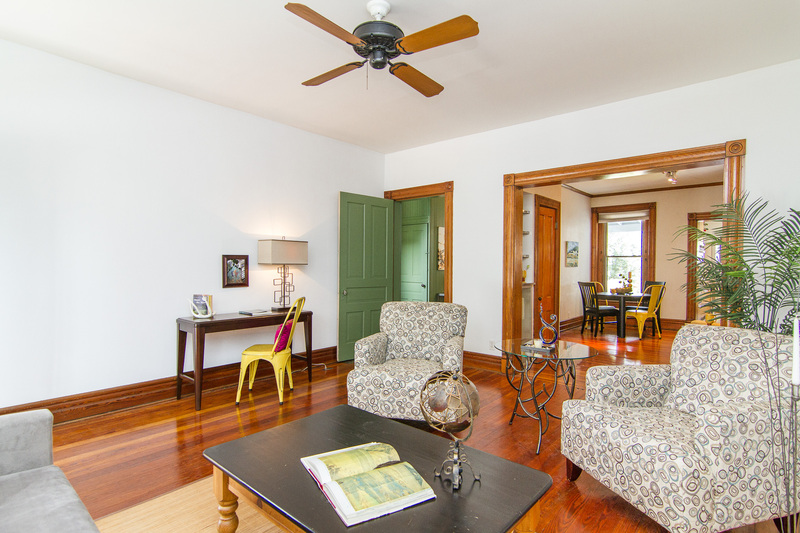 1128 East Breckinridge Street is truly a special home and has been lovingly cared for by the owner. Schedule your private showing today!